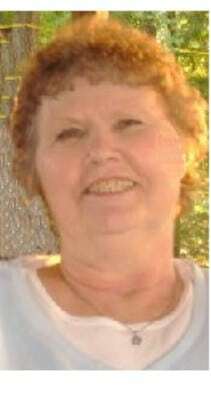 Services for Donna J. Sinks, 66, Lawrence, will be at 1:30 p.m. Tuesday at Warren-McElwain Mortuary. Burial will follow in the Clinton Cemetery.Mrs. Sinks died Friday, Aug. 31, 2007, at Lawrence Memorial Hospital.She was born June 15, 1941, in Lawrence, the daughter of James R. and Blanche E. Harrell Collins. She graduated from Lawrence High School in 1959.She was the former owner of KARD Rubber Stamp Co. and a partner in Midwest Graphics. She worked as a bookkeeper for both family businesses. She formerly worked for Maupintour in Lawrence.She was a member of Travelers Protective Association and was a former secretary and member of Lawrence Bowling Association.She married Lawrence E. Sinks on March 19, 1960, in Lawrence. He survives, of the home.Other survivors include a daughter, Terri Kilburn and husband Travis, Lawrence; two sons, Charles “Chuck” and wife Brenda, Overland Park; Larry and wife Carrie, Lawrence; a sister, Carol Pringle and husband Lawren, Lawrence; and six grandchildren, Charles, Catherine, Lance, Kelsey, Michael and Alexandra.The family will receive friends from 7 p.m. to 8:30 p.m. Monday at the mortuary. The family suggests memorials to the Lawrence Humane Society or to LMH Oncology Department, sent in care of the mortuary. E-mail condolences may be sent to www.warrenmcelwain.com, subject: Sinks.